This is me on the ferry...actually it's what they call a Rivercat...pretty quick. 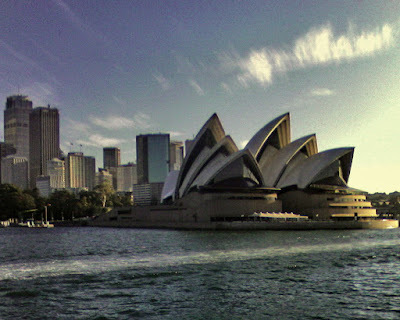 I'm here in Sydney, Australia...as you can see from the picture. 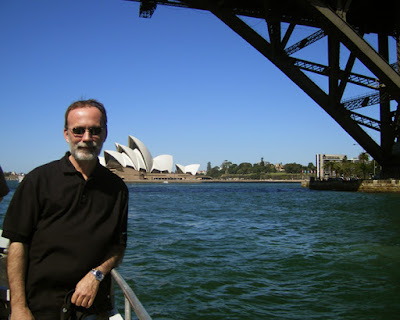 We, Dale, D and I, took a ferry into Sydney a couple of days ago. This city is really nice. I'll be going back into the downtown area again in a couple of days and I'll take a real camera with me. I think if I decided to relocate to a new country I'd chose Sydney, Australia. This place is great. Nice weather and people...so far.